A team of the University of California Riverside is developing a navigation system that uses existing cellular signals instead of GPS. 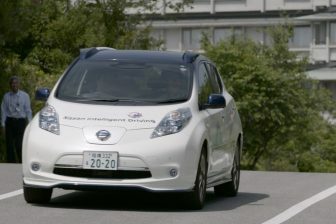 The system will support the development of autonomous vehicles, the research team claims. 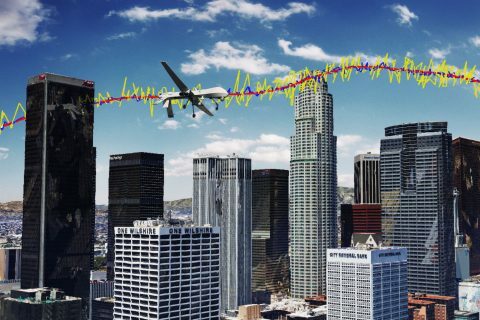 A team of researchers at the University of California, Riverside has developed a highly reliable and accurate navigation system that exploits existing environmental signals such as cellular and Wi-Fi, rather than the Global Positioning System (GPS). The technology can be used as a standalone alternative to GPS, or complement current GPS-based systems to enable highly reliable, consistent, and tamper-proof navigation. 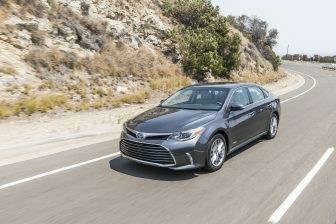 The technology could be used to develop navigation systems that meet the stringent requirements of fully autonomous vehicles, such as driverless cars and unmanned drones. Most navigation systems in cars and portable electronics use the space-based Global Navigation Satellite System (GNSS), which includes the U.S. system GPS, Russian system GLONASS, European system Galileo, and Chinese system Beidou. For precision technologies, such as aerospace and missiles, navigation systems typically combine GPS with a high-quality on-board Inertial Navigation System (INS), which delivers a high level of short-term accuracy but eventually drifts when it loses touch with external signals. Despite advances in this technology, current GPS/INS systems will not meet the demands of future autonomous vehicles for several reasons. First, GPS signals alone are extremely weak and unusable in certain environments like deep canyons. Second, GPS signals are susceptible to intentional and unintentional jamming and interference. And third: civilian GPS signals are unencrypted, unauthenticated, and specified in publicly available documents, making them hackable. Current trends in autonomous vehicle navigation systems therefore rely not only on GPS/INS, but a suite of other sensor-based technologies such as cameras, lasers, and sonar. 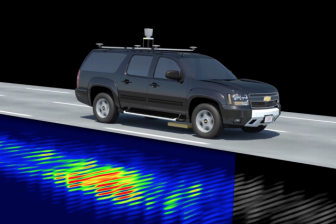 “By adding more and more sensors, researchers are throwing ‘everything but the kitchen sink’ to prepare autonomous vehicle navigation systems for the inevitable scenario that GPS signals become unavailable. We took a different approach, which is to exploit signals that are already out there in the environment,” research team leader Zak Kassas said. Instead of adding more internal sensors, Kassas and his team in UCR’s Autonomous Systems Perception, Intelligence, and Navigation (ASPIN) Laboratory have been developing autonomous vehicles that could tap into the hundreds of signals around us at any point in time, like cellular, radio, television, wifi, and other satellite signals. In the research presented at the ION GNSS+ Conference, Kassas’ team showcased ongoing research that exploits these existing communications signals, called “signals of opportunity (SOP)” for navigation. The system can be used by itself, or, more likely, to supplement INS data in the event that GPS fails. The team’s end-to-end research approach includes theoretical analysis of SOPs in the environment, building specialized software-defined radios (SDRs) that will extract relevant timing and positioning information from SOPs, developing practical navigation algorithms, and finally testing the system on ground vehicles and unmanned drones. “Autonomous vehicles will inevitably result in a socio-cultural revolution. My team is addressing the challenges associated with realizing practical, cost-effective, and trustworthy autonomous vehicles. Our overarching goal is to get these vehicles to operate with no human-in-the loop for prolonged periods of time, performing missions such as search, rescue, surveillance, mapping, farming, firefighting, package delivery, and transportation,” Kassas said.